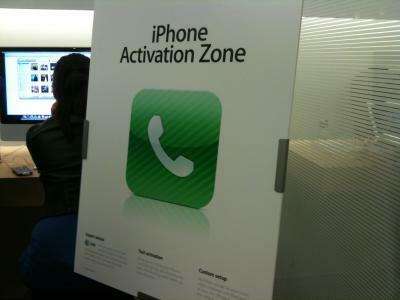 Last week, we reported that Apple was about to roll out dedicated "iPhone Activation Zones" in its retail stores in order to provide dedicated points of contact for new customers looking to purchase, activate and receive initial set-up assistance with iPhone purchases. Apple has in fact now reconfigured a number of its stores to set aside these dedicated spaces and has begun mentioning their existence on its iPhone purchasing page. 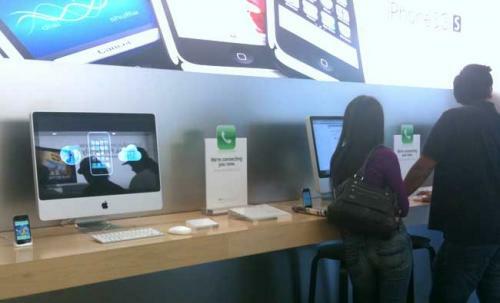 Reserve an iPhone at your nearest Apple Retail Store. Our knowledgeable Specialists provide expert advice, custom setup, and fast activation at the iPhone Activation Zone. Apple has also added mentions of the new areas to a number of stores' pages in the company's retail store listings. 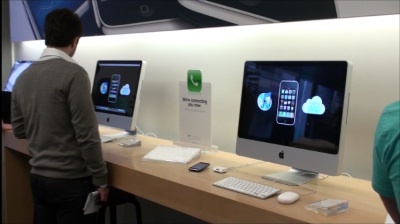 French site TechShower last week posted photos [Google translation] of the iPhone Activation Zone at the San Francisco flagship store, revealing dedicated iMac computers for activation and signage indicating the function of the area. ifoAppleStore has also posted a photo showing the new setup, which is reportedly found in most stores offering the service near the right front as customers enter.